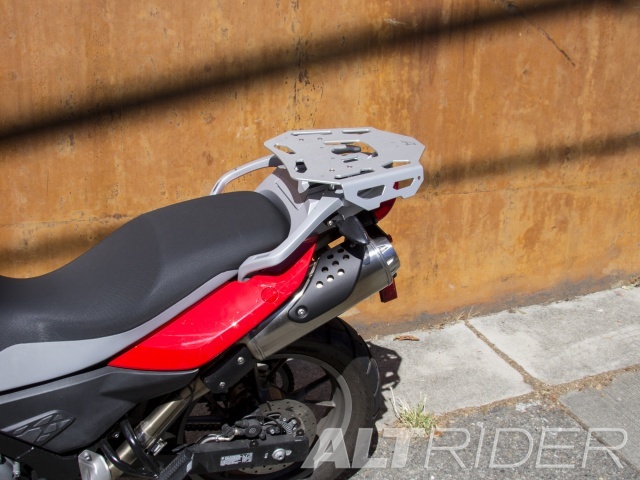 All AltRider luggage racks are pre-drilled to interface with RotopaX products so you can carry extra fuel, water or even tools on your next adventure. 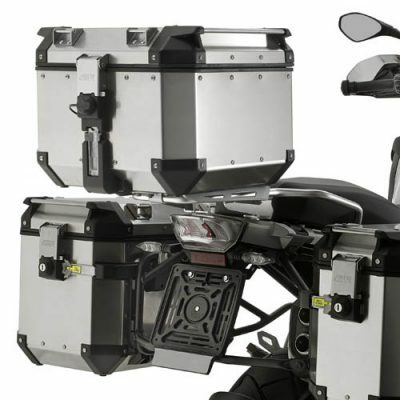 You can also mount Givi Monokey Top Cases with the easily installable AltRider Givi Mounting Kit (sold separately here). 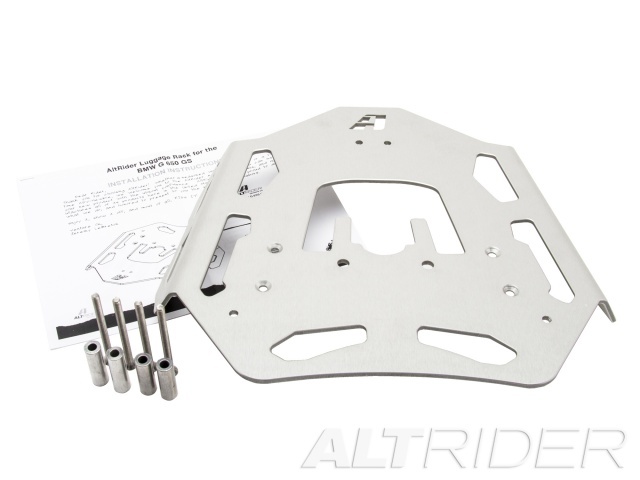 No drilling templates, no adapter plates, no hassle. Most of you may like to document your off-road adventures with cameras and GoPro’s. 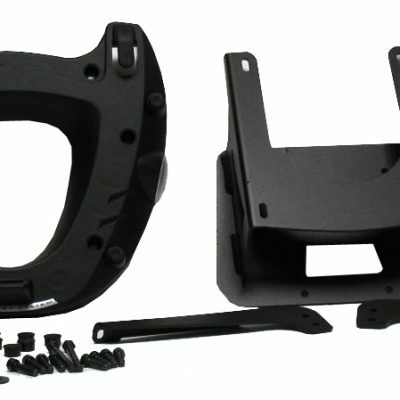 Utilize the 2 strategic M10 mounting points to quickly install the RAM ball for your action mount cameras. 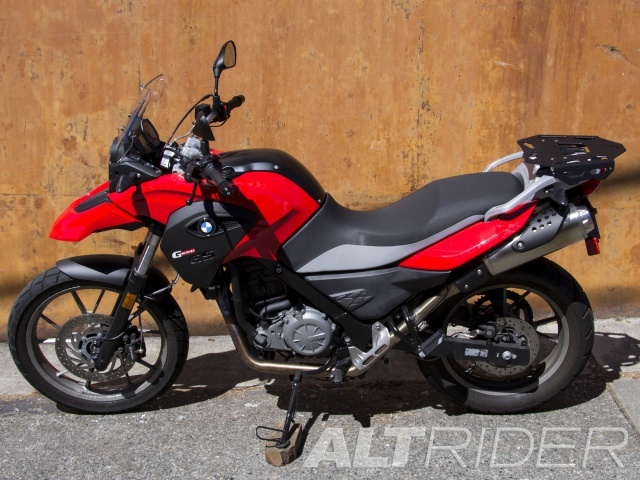 The AltRider Luggage Rack for the BMW G 650 GS is a perfect way to increase storage capacity while maintaining functionality – available in black and silver. Not compatible with single seat with luggage bin. 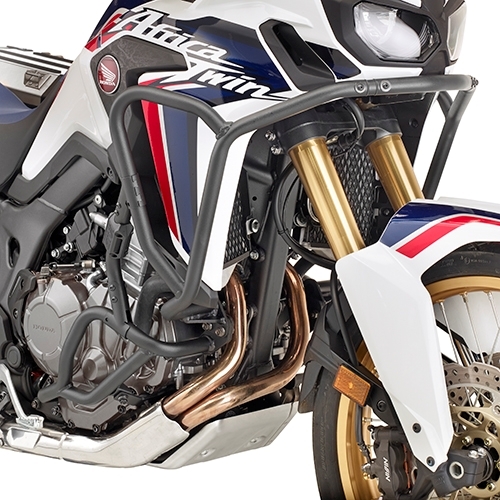 Capable of handling just about any terrain you can throw at it, the light and nimble G 650 GS is a bike built for functionality. 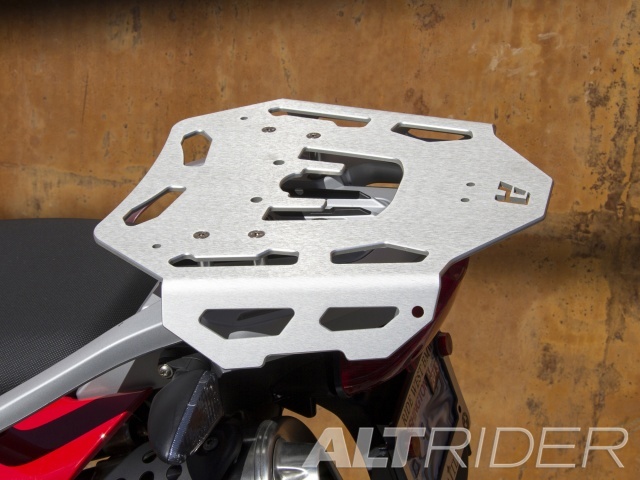 A unique part of the bike’s design is the tailbox integrated into the rear of the seat. 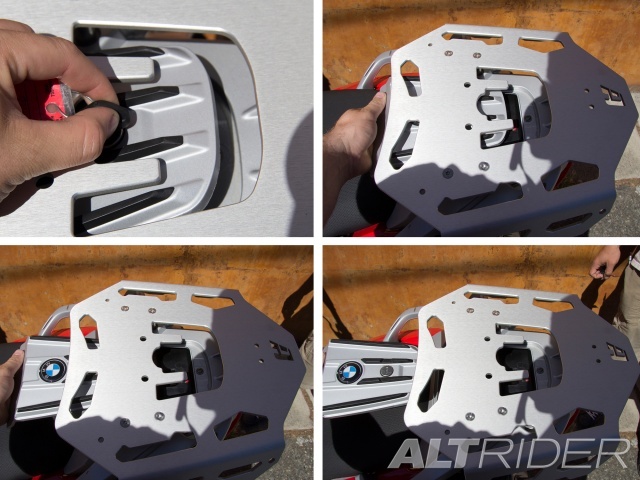 Altrider’s luggage rack allows access to this compartment without removing the aluminum rack (Requires simple removal of 1MM of plastic from the tailbox lid. Click on the installation tab for more information). 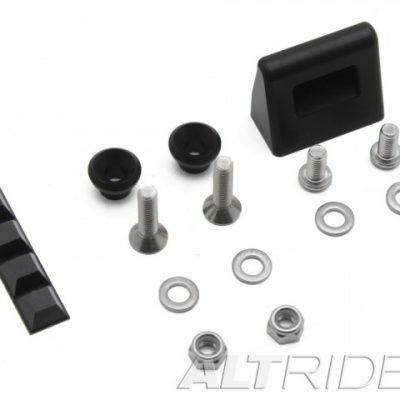 The mounting hardware consists of four flat head Phillips screws, creating the only rack on the market that still has a completely smooth luggage surface after installation. 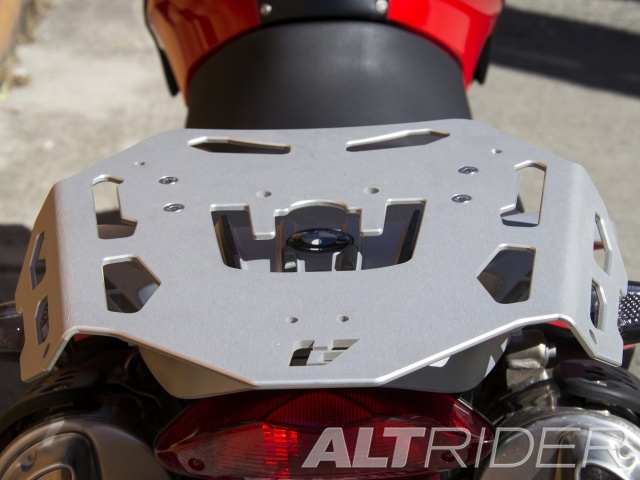 Made from 3/16 inch (4.75mm) thick anodized aluminum, the luggage rack incorporates side flanges for extra strength and rigidity. The strategic cut-outs provide places to lash down your load with straps, bungee cords, tie downs or whatever else you come up with. 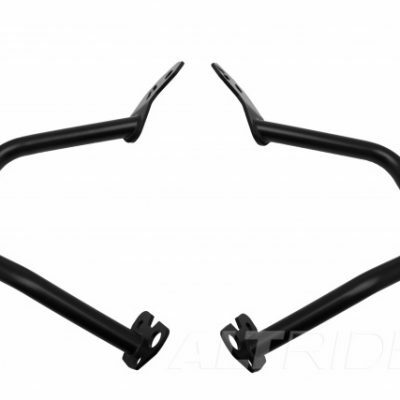 Each hole allows any hook to pass completely through the luggage rack for a secure attachment. 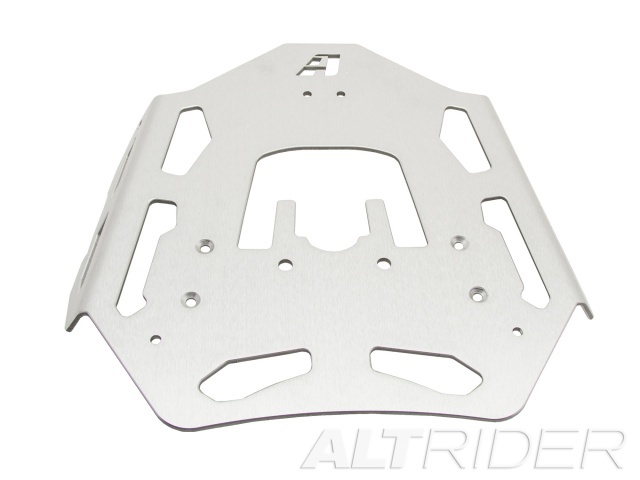 All cut-outs feature a premium CNC routered edge to provide a smooth and clean finish. 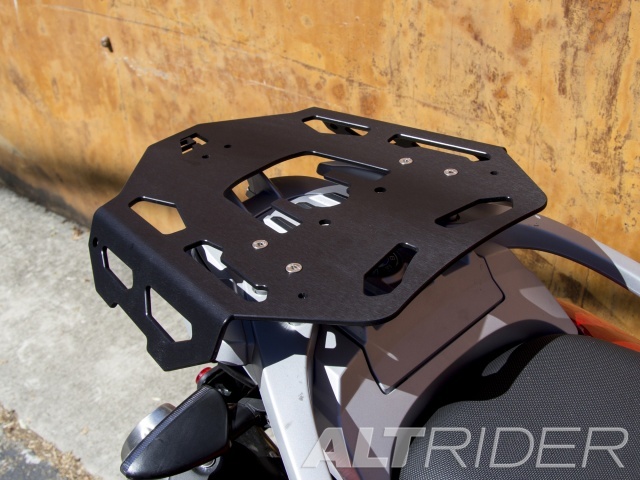 Learn more about Altrider’s design process in the AltRider Garage blog post, Hooked: How We Developed Our Luggage Racks.